The “it” above is the change to HMO (House in Multiple Occupation) legislation that will take effect from the 4th May 2018. Just in case you’ve missed it, here is a quick summary of what’s happening and some of the potential implications for you in terms of HMO insurance. Back in 2016, it became clear that the government was going to press ahead with regulatory changes covering HMO properties. any reference to “storeys” is being removed from the definition of HMO. This is a hugely important change and it should not be ignored as merely playing with words. Lots of properties, previously excluded from the definition of HMO, will now be picked up by this change. As a result of these changes, some sources estimate that approximately 160,000 properties currently NOT classified as HMOs will now be re-designated as such. you must also review your HMO insurance. Do please remember that the fines for non-compliance with the revised legislation are unlimited. It is also worth putting this in the context of an increasing political backdrop of attempting to more rigorously impose structures and enforce legislation within the letting sector. Ignoring these changes might be unwise. 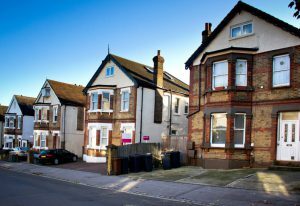 If you are currently operating with a standard landlord insurance policy and find that your property is now about to be re-designated as an HMO, your existing policy may no longer be appropriate. Typically insurance providers see standard landlord insurance policies and HMO insurance as being two very different things. As you may appreciate, the risk profile of a property with multiple lettings within it is significantly different to say a single-occupant flat. In some registration formalities, it seems likely as if you might need to demonstrate to the licensing authorities that you are appropriately insured. Equally, from the viewpoint of an HMO insurance provider, you may need to be able to prove that you are fully and appropriately registered. The two things, licensing and HMO insurance, are inexorably intertwined and it would be risky to consider them as two separate things in terms of your obligations as a landlord. As the deadline approaches, if you haven’t taken action in this area, then it really is time to do so.